Use the Scattered Sequins Dynamic Textured Impressions Embossing Folder to emboss the Peekaboo Peach paper in the Big Shot. Tie the ribbon around the Peekaboo Peach layer. Adhere to the card base. Adhere the larger Designer Series paper to the Peekaboo Peach layer. 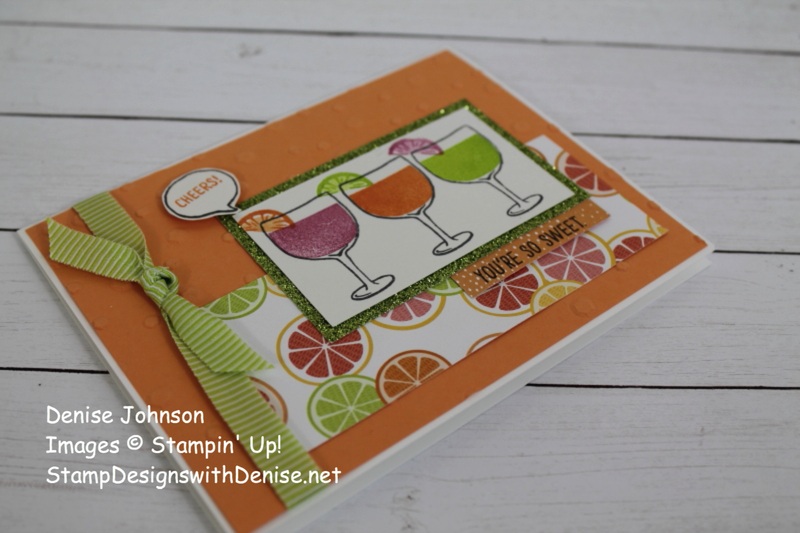 Stamp the glasses from the Mixed Drinks stamp set in Basic Gray ink on the Whisper White paper. 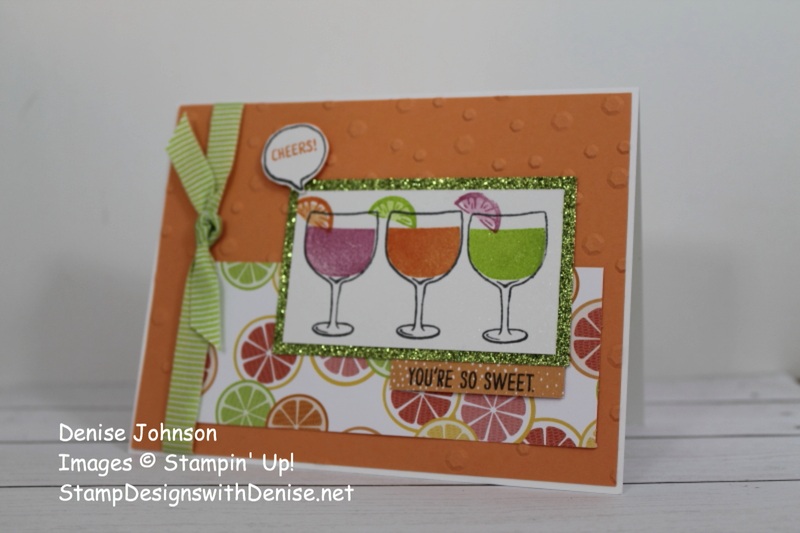 Stamp the inside of the glasses with Sweet Sugar Plum, Peekaboo Peach and Lemon Lime Twist. Stamp the citrus wedges at the top of the glasses. Stamp off once before stamping the inside of the citrus wedges. Adhere to the Glimmer paper. Stamp the word bubble on Whisper White paper with Basic Gray ink. 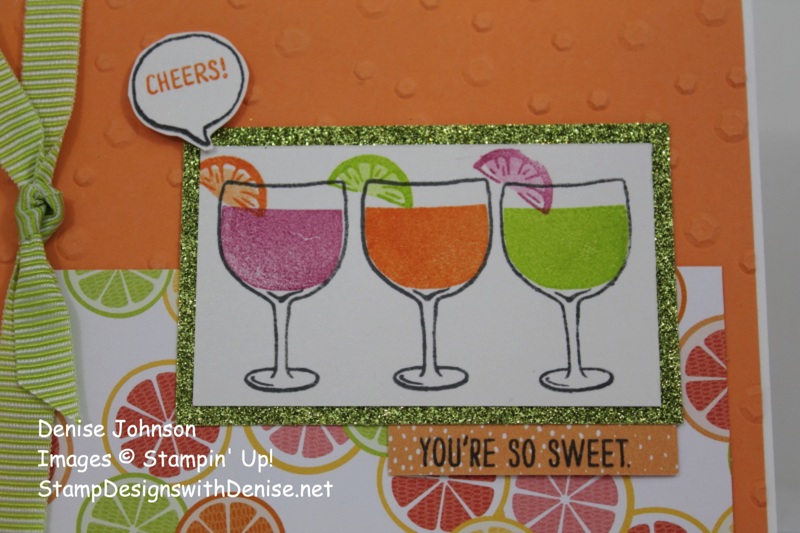 Stamp the inside sentiment in Peekaboo Peach ink. 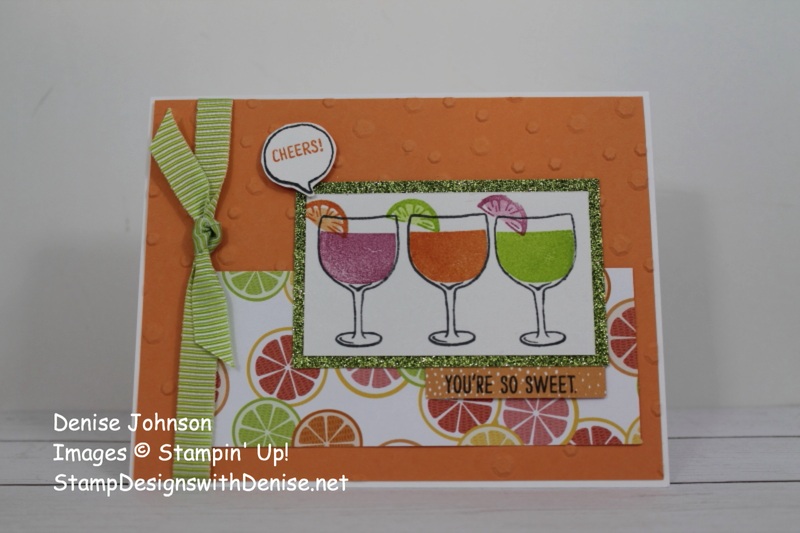 Using a Stampin’ Dimensional, adhere to the card. Stamp the sentiment on the smaller piece of Designer Series Paper. Adhere below the Glimmer Paper.